Bhoj Bahadur Ghale wakes up at six every morning and prepares tea for his wife. As the rays of the rising sun strike the walls of their soft marigold-coloured bedroom, they sip tea together and plan out the day. Every day together is a gift for this remarkable couple. Five years ago, when both of Sabitri’s kidneys failed, Bhoj Bahadur stepped forward to donate his left kidney. This was highly unusual. Most of the 114 kidney transplants performed at Bir Hospital in the past year have been on husbands whose wives donated the kidneys. Bhoj Bahadur is one of the only five husbands who were donors. “Who will save my wife if I don’t? 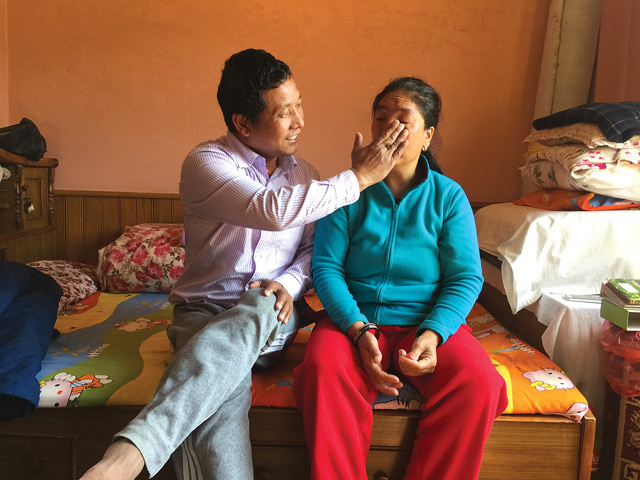 I would not have been able to survive without her,” Bhoj Bahadur says, eyes brimming with tears. He overcame pressure from his own family not to donate his kidney. Bhoj Bahadur, 44, was a migrant worker in Saudi Arabia and returned home to take care of his wife when she was diagnosed with renal failure. The kidney transplantation was done in 2012, and the couple remembers their meeting two days after the operation in the ICU of Bir Hospital as the happiest day of their lives. Their eyes met, but neither uttered a word as tears rolled down their cheeks. 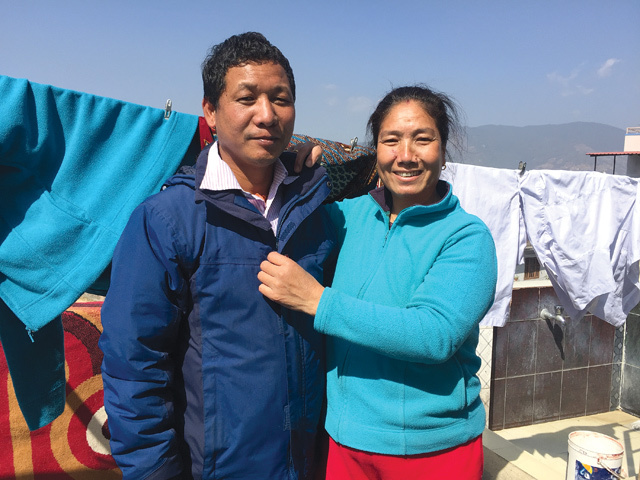 “I remember being so happy to see my wife breathing, and I forgot my own pain,” says Bhoj Bahadur, giving his wife a loving glance at their three-room rented flat in Gongabu. Sabitri is from Lamjung and Bhoj Bahadur is from Tanahu. Their marriage 20 years ago was arranged by their families. She remembers thinking he was the right man as soon as she saw him for the first time. So did he. When Sabitri became ill and needed a transplant, as luck would have it, Bhoj Bahadur had the same blood group and Human Leukocyte Antigen (HLA) tissue which is necessary to match transplant patients. Rajendra Agrawal, the surgeon who looked at their case remembers the couple had a unique bonding. “They are perfectly made for each other. It is the power of love, especially because it is so rare for a man to donate his kidney to his wife in our society,” Agrawal says. Bhoj Bahadur always accompanies his wife when she has gone for checkups in the last four years. Apart from Bir Hospital, kidney transplantation is done at Tribhuvan University Teaching Hospital and Human Organ Transplant Centre, and records show that more than 90 per cent of the of the kidney donors are female. After donating his kidney, Bhoj Bahadur himself is physically fragile but he carries on with a smile on his face. He says his weakness and hardships do not compare to what his wife has had to endure. Neither is now fit enough to work, and depend on their extended families for their livelihood and educating their two children. They help each other in household chores. 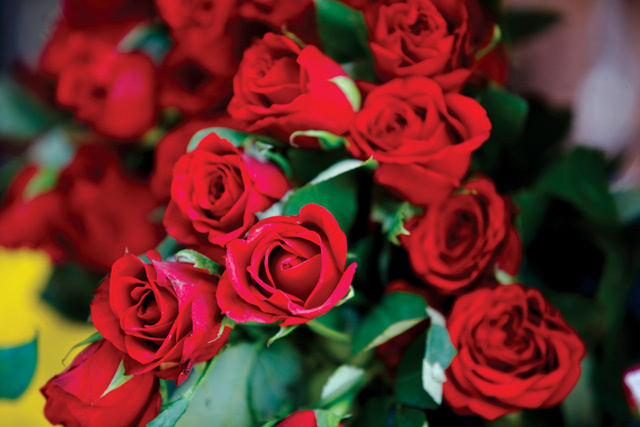 On 14 February, Nepalis celebrate an imported festival by gifting to their beloveds roses imported from India. This year, Flower Association of Nepal (FAN) has estimated that 200,000 rose pieces worth Rs 5 million will be imported from as far away as Bangalore and Pune. An additional 100,000 rose pieces will be sourced from within Nepal. “We do not have the technology to grow roses in winter, so we need to depend on India,” explains Kumar Kasaju of FAN. Kasaju may not like us saying so, but you lovebirds out there may want to rethink V-Day roses since they don’t last long, are wrapped in plastic and widen our trade deficit with India. Consider the carbon footprint of blossoms that have journeyed from so far away, and we are not even going to remind you of the agrochemicals used for floriculture. 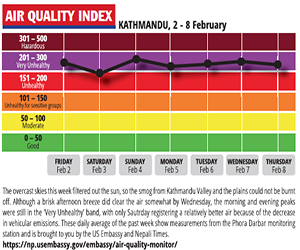 And we haven’t even told you about the Methyl Bromide used in ornamental flower cultivation, which destroys the protective ozone layer in the stratosphere that blocks harmful solar UV radiation. The new pools are stagnant, their fountains refuse to play. The flowerbeds try valiantly to battle the press of people.